I went for a walk today. 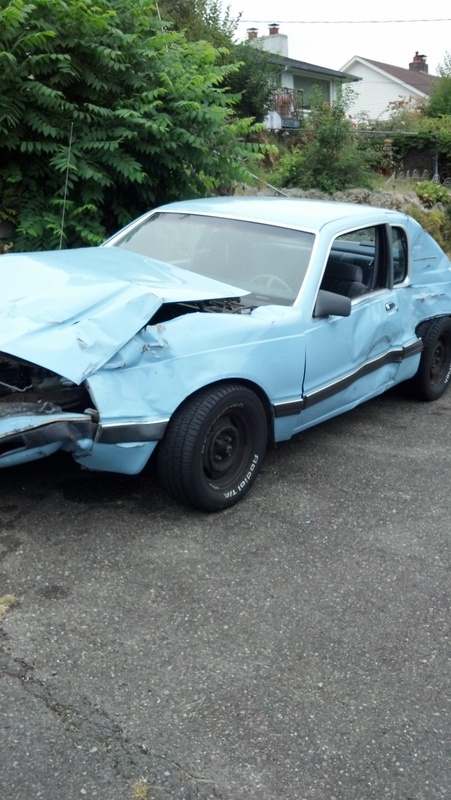 These are things I saw. 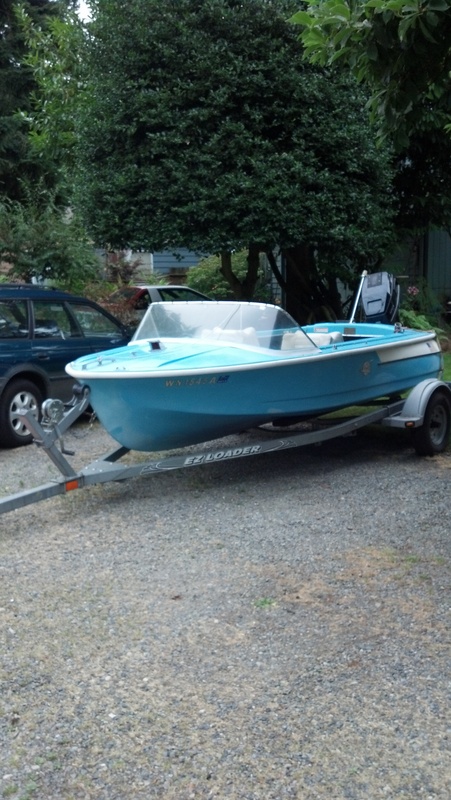 A funky blue boat fit for Magnum PI. 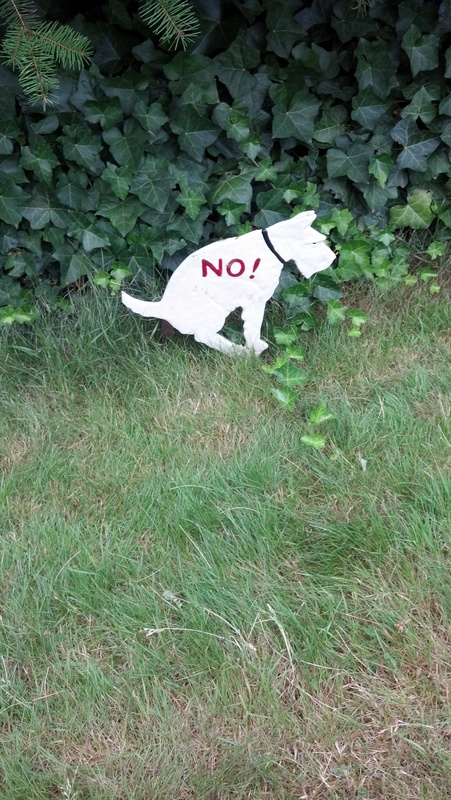 A warning to the canines of America. For dogs who can read? I’m going to repurpose that one and hang it above my master terlit. 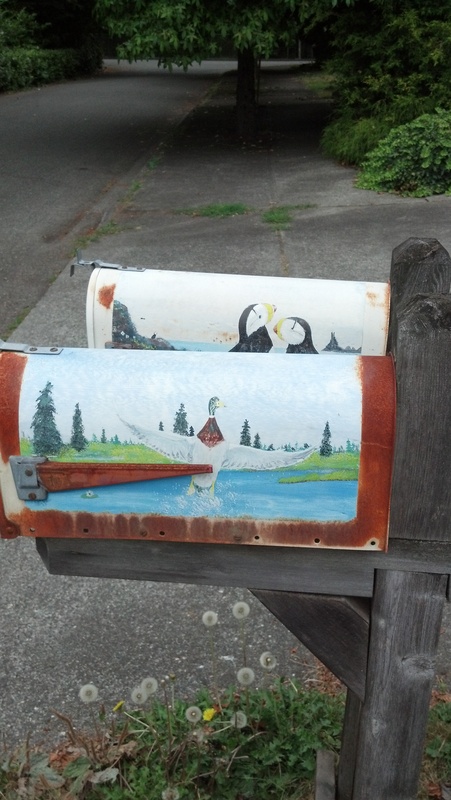 Mailboxes that remind me of my grandma’s old cabin in northern Minnesota. Artchoke flowers. I HAD NO IDEA. 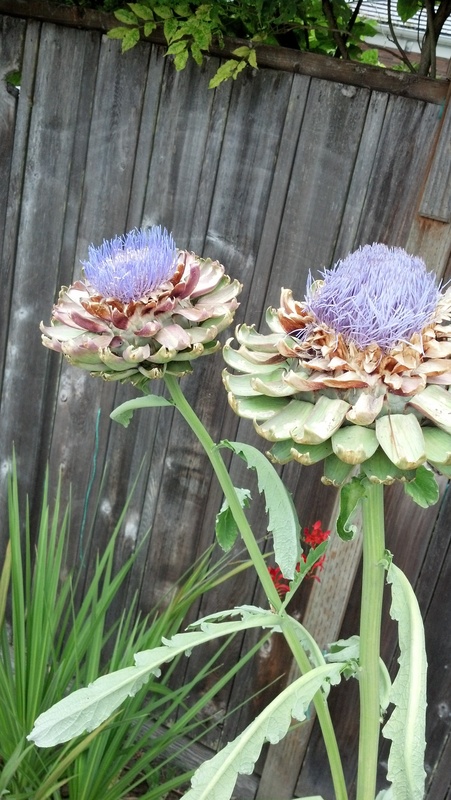 My husband informed me that artichokes are the buds of a plant, and if not harvested, would flower just like this. Am I the only person who didn’t know this? So fascinated by this discovery I had to look it up. Learning is rad. 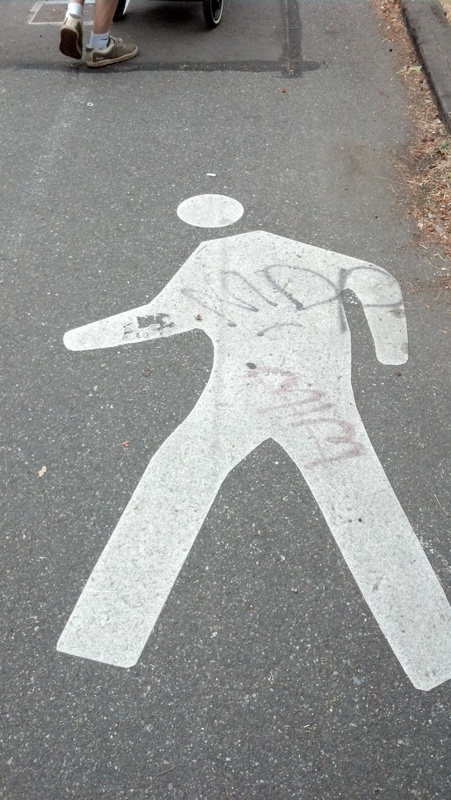 A pedestrian walkway OR a murder scene. TBD.